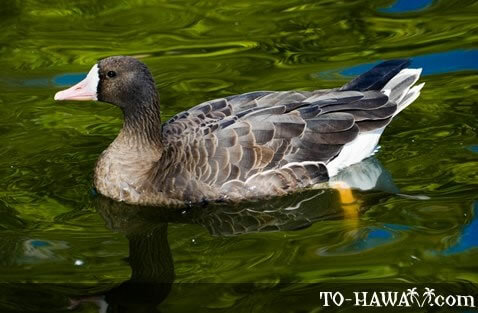 White-fronted geese have light orange legs and feet and a pinkish bill. Adult males are usually large than adult females. But both sexes look similar. They are grayish brown with light grey breasts and dark brown to black blotches and bars.